It’s been a wild and crazy few months for us. I remembered I had all sorts of little clay pots our grand daughter Kaylee had painted. She is this Grandma’s Heart! What an easy and delightful project! These were done in bright colors and polka dots. We used the tip of a sponge and dipped into some acrylic paint. We allowed it to dry for 24 hours. We gave it a couple of coats of clear varnish for added protection to set in the window sill. We planted herbs in these. A clay pot, a bit of spray on primer, chalk board paint and one happy little girl! We allowed it to completely dry for approximately 24 hours then gave it a couple of coats of clear varnish for added protection. 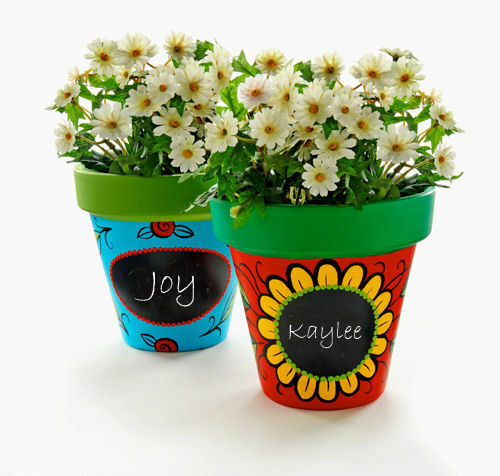 How exciting for Kaylee to paint her own little flower pot & herb garden. What a cheerful delight they are! 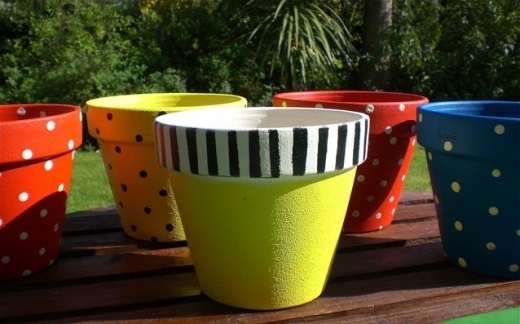 I use to paint the clay pots with my children when they were younger! Beautiful memories! And now I’m making Grandma memories! Keep A Song In Your Heart! !